Customer service goes way beyond the way you handle customer complaints; it encompasses every part of the way customers interact with your business. By making potential customers go through a minefield of automated phone systems or refusing to meet reasonable customer demands, a business only comes off as the enemy instead of the role it should play as a valued vendor or trusted service provider. To make the most of your resources, customer service should always be your primary focus. 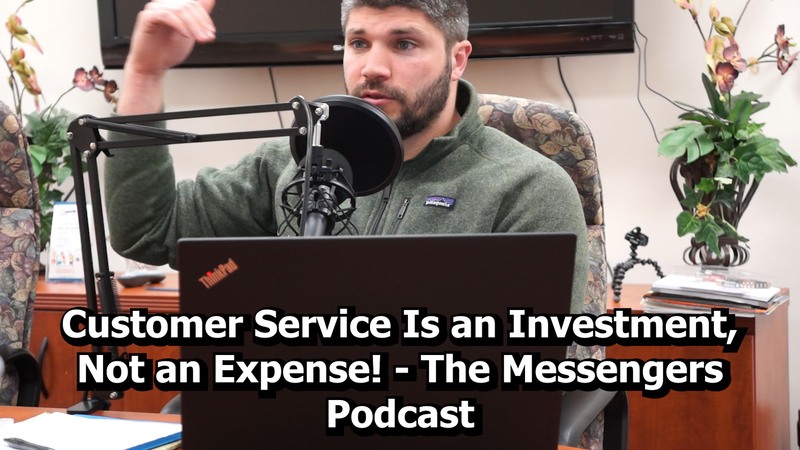 In this episode of The Messengers podcast, Chris Searles [http://www.christophersearles.com] and Rob Seifert discuss how important customer service really is. They go over some of the do’s and don’ts of customer service from their experience both dealing with clients and as customers themselves.